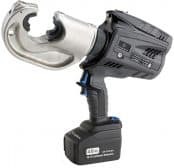 ➡ View the complete range of Cembre Battery Crimping Tools – the Cembre battery range of cable crimping tools for use with crimps, connectors and lugs up to 400sqmm including medium/high voltage cables at 11kV/33kV. 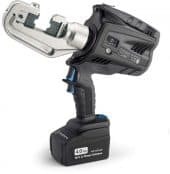 Battery powered tools are balanced for ease of use with a double speed crimping action – for ease of operation and comfort the battery crimping tool can be fully rotated through 180 degrees. Cembre battery cutting tools are also available for all cable types up to 95mm diameter. Thorne & Derrick can provide expert tool recommendations to ensure customer selection of the most suitable battery crimping tool for the cable application – contact us to discuss your requirements. 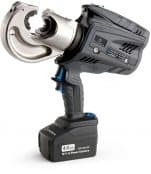 T&D have been Official Distributors for Cembre since 1985 – full range of battery crimping tools are available for delivery to UK and international destinations from stock; hydraulic cable crimping tools also available. 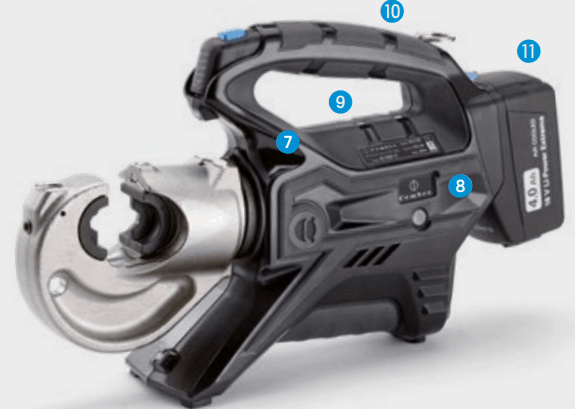 The following table enables the selection of the correct battery crimping tool from the Cembre range – contact us for assistance or to arrange demonstration. 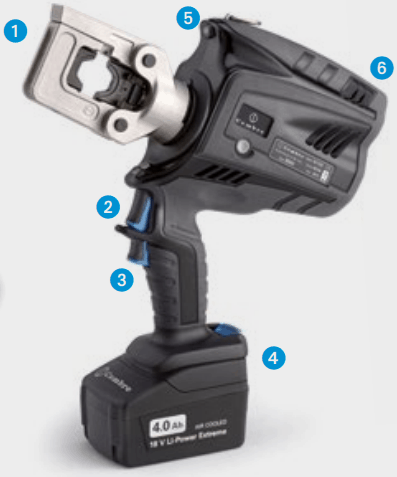 Cembre tools are preferred by electrical engineers, cable jointers, overhead linesmen and utility workers for their superior technical features and user benefits – the multifunction OLED display provides general operating and condition information about the crimping tools including battery power levels and charge status, pressure level display, crimping force check (kN) and tool service requirements. The battery tools are equipped with LED indicators to display the remaining battery life at any time by pressing the adjacent button. 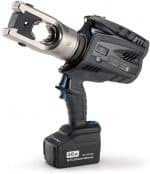 See the Cembre B1300-C video below – the new generation, battery crimping tool which is hydraulic, cordless with 180° rotatable tool head with Li-Ion 18.0V 4.0 Ah high capacity battery. Cembre B1300-C is supplied as standard with protective carrying case, battery charger, USB cable and shoulder strap.